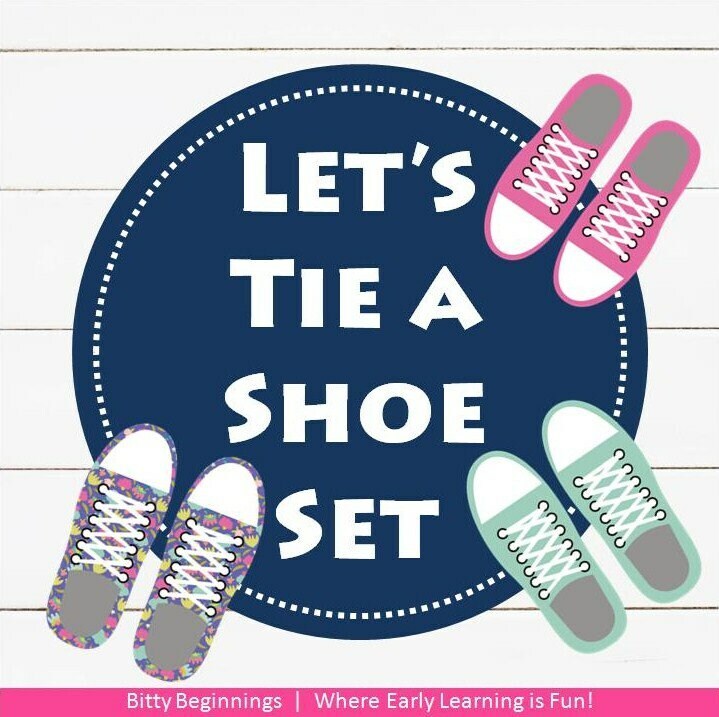 Our Let's Tie a Shoe Set is a fun, hands-on way for little ones to practice shoe tying! Print on cardstock. Laminate. Cut out each shoe. Hole Punch the shoe holes. Pair with lacing ribbon or string to encourage shoe tying practice.